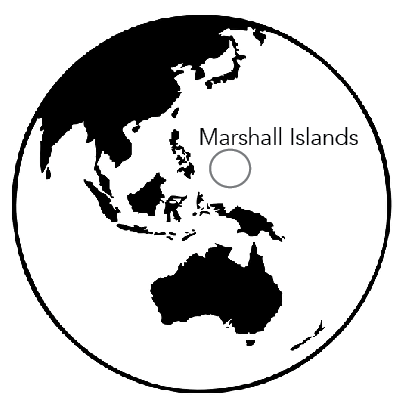 The Republic of the Marshall Islands is near the equator in the Pacific Ocean. The largest city, Majuro, has a population of 37,141 people. Tiny islands called atolls surround Majuro. To the right, rusted waste lays next to the ocean. The borders of Majuro are littered with trash and rotting infrastructure. Consisting of five main islands, the Republic of the Marshall Islands rests in the Pacific Ocean and looks every bit like a tropical paradise. Situated between Hawaii and the Philippines, the Marshall Islands host 29 atolls (small islands) and bright blue waters. “When you are driving on the road, you can see the end of the island and the blue ocean from the other side,” sophomore Sophia Emil said. Emil, a native to the capital island Majuro in the Marshall Islands, moved to Cedar Falls five and-a-half years ago with her aunt, following her cousin, senior Daniel Kolo, who moved in 2010. 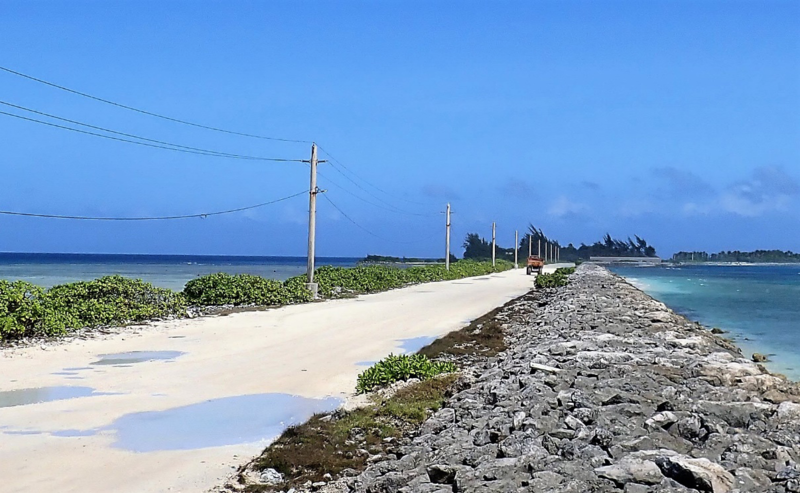 Both Emil and Kolo moved to America for educational purposes, but the more recent influx of Marshallese are environmental migrants to America, due to the deterioration of the islands from the effects of climate change. 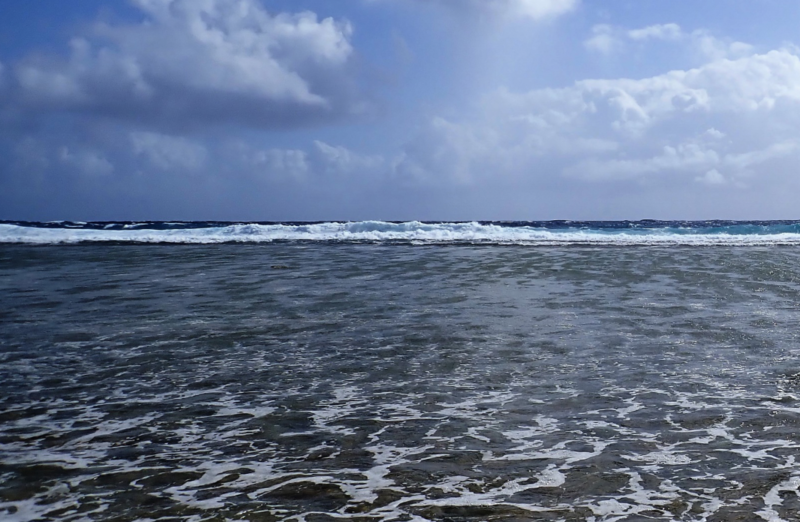 The Marshall Islands, naturally low lying, have a tallest geographical point of just nine feet above sea level. The rise in the sea levels and annual flooding causes the islands to be in disarray and infrastructure to crumble. Salt water contamination of aquifers and fresh drinking water also puts citizens’ health at risk. The island nation is already struggling from recent droughts as well. Dr. Michele Devlin, Health Promotion and Education Professor at the University of Northern Iowa, has seen the climate change effects on the Marshall Islands first hand. “They can’t grow things like they used to. It is a tropical island, but the only thing being sold in the store is processed foods that have been imported, like carbohydrates and canned meats. Because of the temperature changes in the ocean as well, the coral and fish are taking a big hit and dying,” Devlin said. 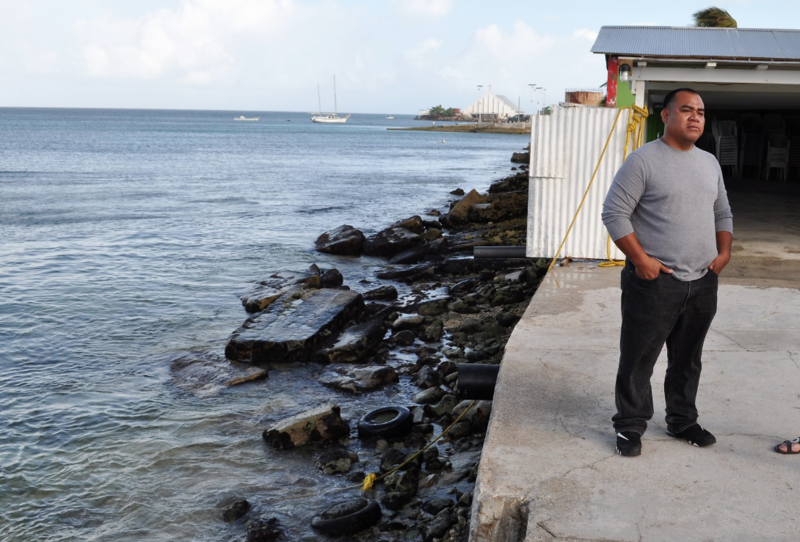 For Emil, Kolo and their family, the effects of climate change were never a problem when they lived on the island, but they know of families who are experiencing it now. “I have this one friend from church whose family has come to live here. I always wondered why they moved here, but it most likely is from the effects of climate change down in the Marshall Islands,” Emil said. The Marshall Islands has an estimated population of 75,684 in 2018. “Right now, already about a third of the citizens from the Marshall Islands have moved out of the country. Most of them have gone to the United States. We have a special legal pact with them. 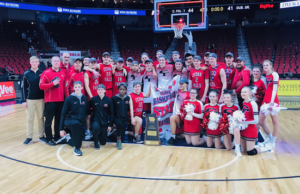 In Iowa, they are working at meat packing plants, but they are also going to Arkansas, California, Hawaii, Oregon and a handful of other places,” Devlin said. After World War II, the Compact of Free Association (COFA) including the Marshall Islands and Palau was created to give access to U.S. programs for reparations to the people of these nations from effects of nuclear testing. The infamous Bikini Atoll where the United States detonated 23 nuclear test bombs in the 1940s and 1950s is part of the Marshall Islands. This is why Marshallese immigrants are free to live in the United States. “I work with a lot of the refugee women, and even when we work with patients today, we can see higher rates of cancer and diabetes and other conditions, and you still have a lot of pollutions from a lot of various wars and nuclear testing,” Devlin said. 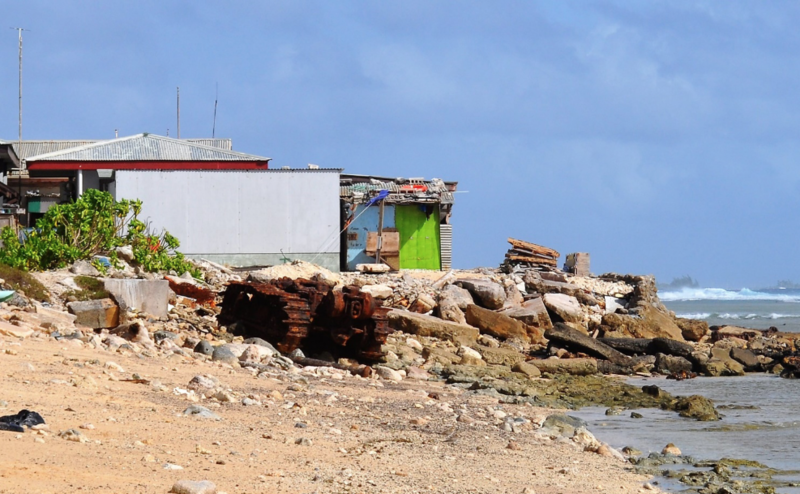 Although the United States lends some aid to the Marshall Islands, the people’s homes and culture are deteriorating into the ocean as the water rises. “When we visited, we asked some locals, ‘How long are you going to be here?’ and they said that they can only get five or 10 years out of the island,” Devlin said. Still, the allure to visit home is strong, even as their home is slowly vanishing. “I am going back there for the first time since I moved this summer, and I am excited to see everyone,” Emil said.